Most of the locals speak valenciano (a dialect that has its roots in catalan) as their first language, but they all speakcastellano (Spanish) as well. Few people speak English, so you'll find it useful to bring a basic phrase book with you. But don't let that put you off - the locals are very friendly, and sign language goes a long way! 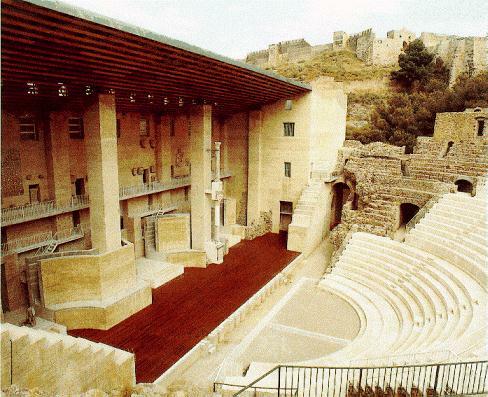 Castalla is situated in the centre of a beautiful valley which has the name of Foia de Castalla, surrounded by mountains that in some cases reach more than 1000 metres in height. 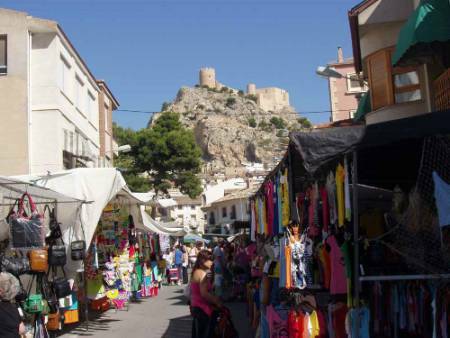 The town is located beside a small mountain which has a historic medieval castle at its highest point. 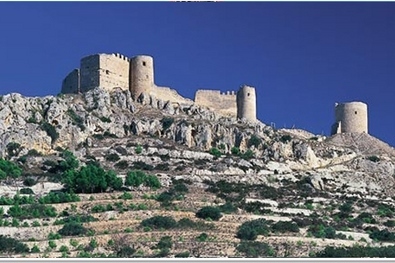 In Castalla we can find many interesting places to visit, such as the Castle, the old part of the town, the Ermita de la Sang or the Maigmo mountain. The town is very well connected with the motorway to Madrid, and only 30 km. to Alicante and its airport via the new road A-36. The nearest towns are Onil, Tibi, Ibi and Biar, all of them within 10 km. Castalla is also well known for its rich gastronomy proved by millions of palates from generation to generation. The typical dish of this area is Gaspatxo whose ingredients include a special type of bread with chicken, rabbit, mushrooms and fried tomatoes and onions. La Foia (valley) de Castalla, whose historical capital is Castalla, lies in a wide T-shaped valley facing south east and is surrounded by various mountain formations. Castalla occupies the west and south west part of the Foia bounded by the interlocking sierras of L’Arguenya, Maigmo and Catí. It covers an area of 116 km2 with a population of around 8000 inhabitants. 46% of the area is forest with various species of pines covering the whole area. Castalla has always been traditionally an agricultural region, specialising in olives, vines and almonds, which occupy 86% of the total cultivated area. Local wine and olive oil can be bought in the local co-operative. Nowadays Castalla’s population is active in industry (toy manufacture, furniture, construction materials and metal work) and tourism. Local bars and restaurants are renowned for their quality and good service and attract large numbers of visitors. An authentic fort situated on the top of a hill 780m above sea level overlooking the entire Foia valley, which is currently being restored. Its history begins in the XI century (caliphate period) and continues until the XVI century, when the Grossa or Homage Tower was built. The Arms Courtyard is notable for its size, the remains of its turreted walls and sentry posts etc. Together, these form the “Palau” or palace which houses remains dating from the XIII to XV centuries, including the Prima Tower and the large rectangular vaulted Sala. The restoration project that has been in progress for several years is now complete and it is now possible to take a guided tour of the castle. Tickets must be booked in advance from Tuesday to Saturday at the Tourist Information Office near to the town hall (Ayuntamiento) in the Plaza Mayor. Tours in Spanish are on Saturdays and Sundays at 12:30 - tours in English are on Wednesdays at 16:30. Religious building in early gothic style, dating from the 2nd half of the XIII century and reclassified as Gotico de Reconquista (re-conquest Gothic style) after being consecrated by Jaime I. From the XIIIuntil the XVI century it was the main church of Castalla until it became the Ermita on completion of the present church. It was adopted by the Brotherhood of the Blood, and houses the statue of the Virgin of Solitude, the local patron saint. In early gothic style it has a single central nave formed by enormous pointed arches, side chapels enclosed within buttresses and a coffered ceiling. In 1436 it was divided in two because of the large population growth in Castalla at that time. Latterly in the XVIII century a small rococo shrine was added to house the statue of the Virgin. Completed in 1572 by two brothers from Castalla who were stonemasons and built in the Catalan Gothic Style with one large central vault and side chapels situated between buttresses. The vaulted ceiling in the central nave is pointed and quartered while those of the shrines are in star form. The renaissance shrine of the Virgin is especially noteworthy. All the façades and the bell tower are also in renaissance style. The convent building is in the neoclassic style with some austere decorative features common to the religious order by whom it was built. Building started in the middle of the XVIII century and was completed in 1810. The temple had an annexed cloister, of which only the exterior door remains. After the disposal of church lands by Mendizábel in the XIX century, it ceased to function as a convent. The cloister was used for social functions until it was finally demolished.